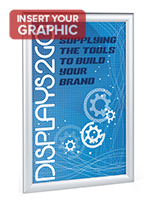 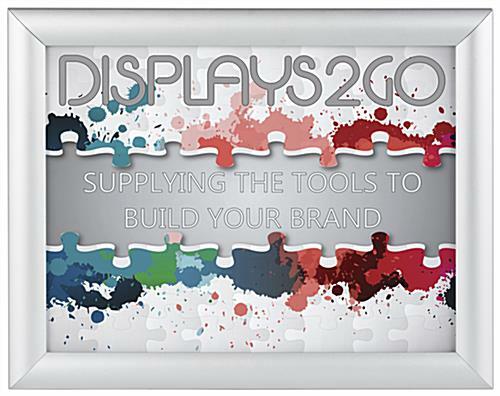 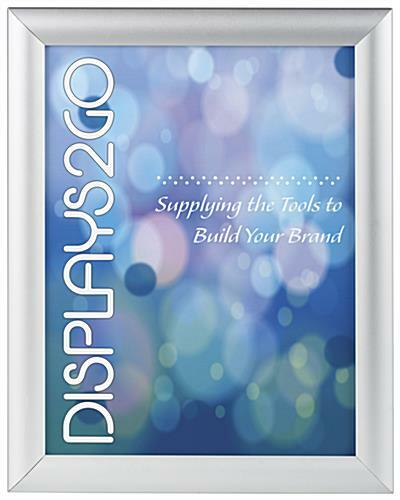 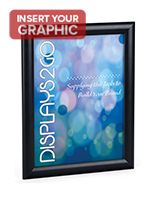 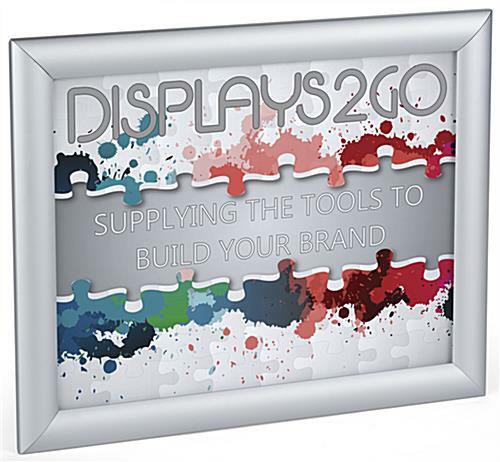 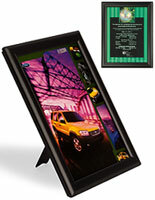 This silver aluminum snap frame will display graphics in a very impressive manner. 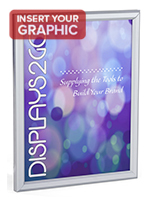 Sized 8.5" x 11" with rounded edges and an anodized finish, this sleek poster system looks expensive, but it's cheap. 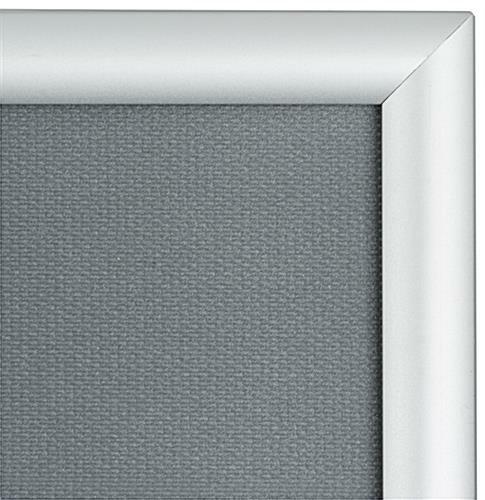 This aluminum snap frame for business use has sleek 25mm profile that really adds style. 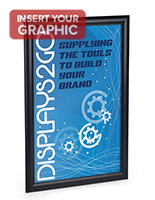 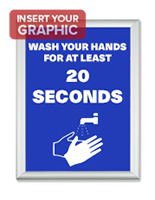 View graphics in horizontal or vertical orientation depending on the poster layout. 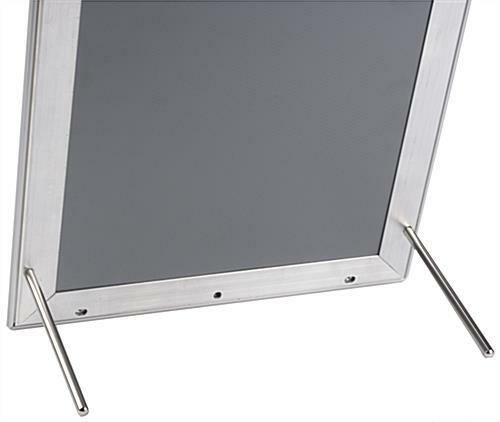 This front loading snap frame for tabletop or wall mount is easy to change out (hardware is included). 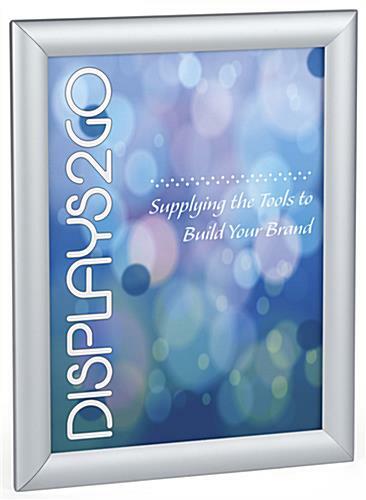 Typically used as directionals and name plates, this display is front loading with a protective PVC lens to keep dust and fingerprints off the advertising. 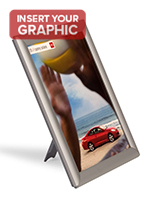 12.2" x 9.7" x 0.5"